What is the season of lent? Who observes it? How is it observed? These are simple questions that come with long answers. I used to ask these questions prior to becoming a Catholic as an adult. 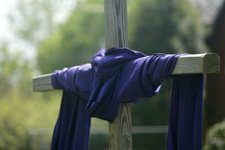 You too may have these questions, especially if you are new to the Christian faith or a member of a church that does not regularly participate in the season, you may be wondering what is Lent and how it is traditionally observed. The history of Lent goes back to the early days of the Christian Church. Celebrations vary from sect to sect. While some share many of the rules of Catholic Lent, others seem quite different. Here's a brief summary to help get you acquainted with the various traditions. The season of Lent is traditionally observed with 40 days of fasting that begin on Ash Wednesday and end at sunrise on Easter Sunday. The number 40 is a significant number referenced throughout the Bible. Moses spent 40 days on Mt Sinai. Elijah spent 40 days and nights walking to Mt Horeb. During Noah's flood it rained for forty days and forty nights. The Hebrew people spent 40 years traveling to the Promised Land. Jesus spent 40 days fasting in the desert where he was repeatedly tempted by the devil. It is commonly accepted that he spent forty hours in his tomb before rising, and in the early history of Lent, it was a 40 hour fast that spanned the afternoon of Good Friday and all day on Saturday, with the fast broken on Sunday morning. The rules of Catholic Lent call for a semi-fast, rather than an extended period without food. Catholics 18 to 59 must fast on Ash Wednesday and Good Friday. Catholics 14 and older can't eat meat on Ash Wednesday, Good Friday, and all Fridays during Lent. What does the Catholic Church mean by fasting? Eating only one full meal for the whole day and this can be divided up during the day, but no more food that equals more than one meal for the whole day. You can read more about fasting requirements at the following link. The Church's official position concerning penance and abstinence from meat during Lent. Abstinence is also practiced during this time period, as well. It's a time to give up vices such as candy, ice cream, alcohol, etc.